The most common of all quality assurance complaints received by seed companies relate to germination and vigour of brassica seed. 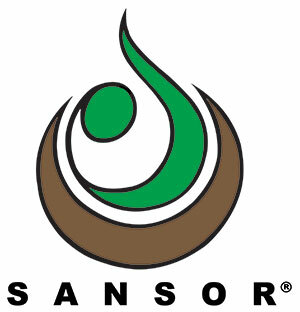 Seed companies perform a number of different types of tests in order to provide quality assurance for their products. In addition to germination testing, these include tests for vigour, diseases, seed count, genetic purity and physical purity. Seeds are graded and so germination and vigour will be much better in the seed tray and in the field you will get better uniformity and cut percentage. Although germination tests are well known indicators of seed quality, there is still an inadequate understanding of both the physiological processes of germination and the interpretation of germination test results. To a seed physiologist, germination is defined as the active growth of the embryo that results in the rupture of the seed coat. To a seed analyst conducting a germination test according to ISTA (International Seed Testing Association) rules, seed germination also includes the emergence of the seedling which develops into the young plant. We can define germination as the process that transforms the embryo of a seed into an independent photosynthesizing plant. Imbibitions of water – seeds readily absorb water through the seed coat. It is then diffused throughout the seed tissues. Water also softens then seed coat, making it more permeable to respiratory gases. The entire seed swells as the cells become turgid. This is a purely mechanical process and occurs in both viable and dead seed. During the first few hours of imbibitions the moisture content increases from about 5 to 70 %, which is evident by the rapid weight gain. Lag phase or Plateau phase – no weight gain, but there is a general mobilization of the seed’s food reserves. Enzymes which catalyse (drive) the reactions are produced or activated. The seed’s storage reserves in the form of carbohydrates, oils and proteins are generally insoluble, but in this phase become soluble and available for plant growth. The end of this phase is marked by the rupture of the seed coat and radicle protrusion (this is physiological germination). Radicle emergence and seedling development– the radicle (which becomes the primary root) emerges before the shoot, giving the seedling a chance to establish an immediate connection with the moist soil. Only once the hypocotyl (part of the seedling axis above the root and below the cotyledons) starts to elongate, does the seedling emerge through the soil surface. 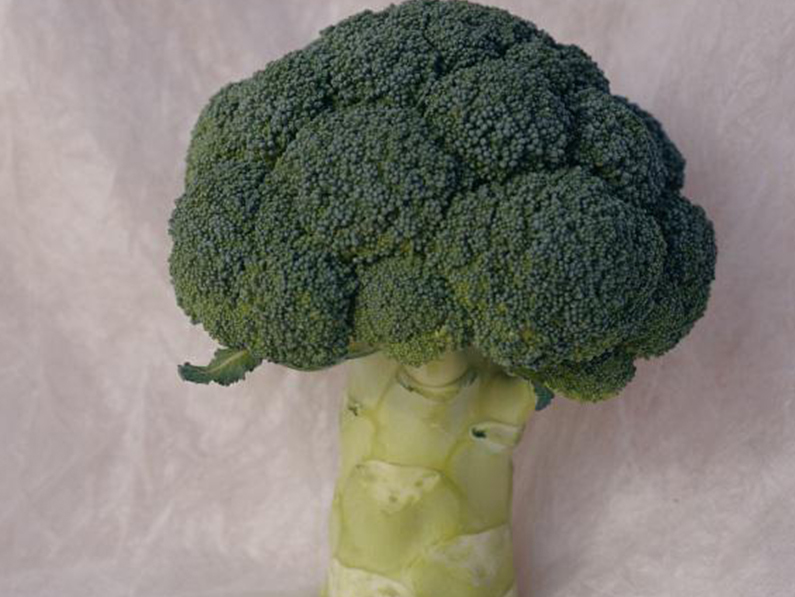 In the case of brassicas the hypocotyl forms an arch to protect the growing point as it pushes through the soil. In response to light, the hypocotyl straightens pulling the cotyledons above ground where they expand, turn green and function like leaves. They provide the seedling with energy through photosynthesis until the primary leaves replace them. 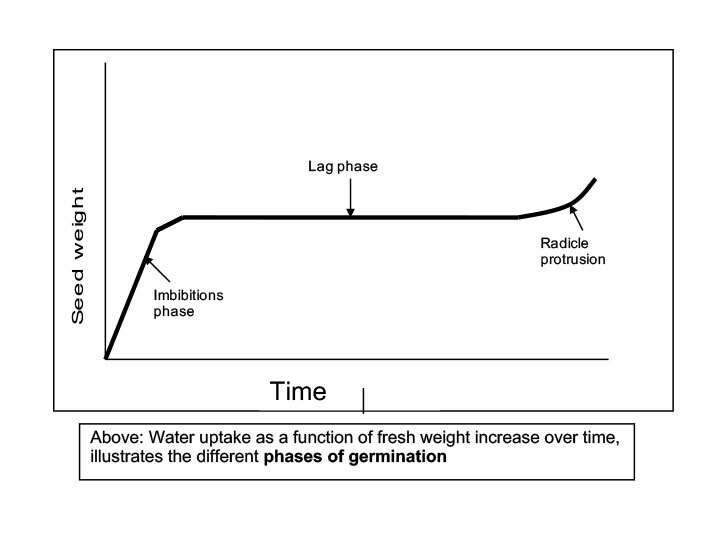 Water is a basic requirement for germination (see physiological process above). Although enough water is essential – too much will restrict oxygen availability to the roots (by filling in all the air spaces in the soil). Air is composed of about 20 % oxygen, 0.03 % carbon dioxide and 80 % nitrogen. During germination, the plants respiration rate increases dramatically so adequate oxygen must be supplied. This is the most difficult (expensive) of all three elements to control, and so is generally the cause of most problems in South Africa. the rate of the chemical reactions involved in metabolism (conversion of stored nutrients into energy). The lower the temperature, the slower the germination. Although higher temperatures speed up germination, there is an upper limit. When temperatures become too high, enzyme efficiency is reduced and eventually cellular protein is denatured and the cell is killed. Different species have different optimum temperatures and are therefore tested at different temperatures. Seedling growers have to take this into account when planning their productions. Tests are conducted according to ISTA rules (International Seed Testing Association) which ensures reproducibility and consistency. Test methodology such as how many seeds are planted, how many times it is replicated, what medium /substratum is used, how much water is applied and of course what temperature the germination room should be set at. The counting dates are also prescribed. In the case of brassicas there is a 3 day radicle count, 5 day first count, 7 day interim count and a 10 day final count. The radicle count is conducted after only three days (72 hours). This gives an indication as to the vigour and uniformity of a lot. As discussed, this is extremely temperature dependent, e.g. a seedling grower may set the temperature of his germination room 5 degrees higher at 25 °C, and be ready to pack the trays out into the nursery after 36 hours. This will of course be seed lot dependent. The analyst also has to determine the percentage normal seedlings (with all essential structures in place – radicle, hypocotyl, cotyledons) that can be counted within the 10 day limit. This is known as the Final Count and is indicated on the label. At the same time, any abnormal seeds or dead seeds are recorded as well. You will see on the label, that the percentage Abnormals is also indicated. The germination test tells the grower what the potential of a particular seed lot is, under ideal circumstances. The farmer or seedling grower must interpret this information in the context of his own circumstances, considering factors such as anticipated weather conditions and the heating/cooling facilities available. This is a type of vigour test and is designed to give the seedling grower additional information about the lot’s potential to perform at a range of temperatures (above and below ideal). As with the germination test, all other factors remain constant, it is only the temperature that varies. Both the radicle count and the final germination count are provided for all 6 test temperatures. In the case of brassicas these are: 5/20°C (alternating 16 hours /8 hours), 15°C, 20°C (ideal), 20 – 30°C (ideal), 30°C and 35°C. From these results, the grower can see that lot 19764 is more sensitive than lot 30063 to temperature extremes and can take this into account when planning the production.